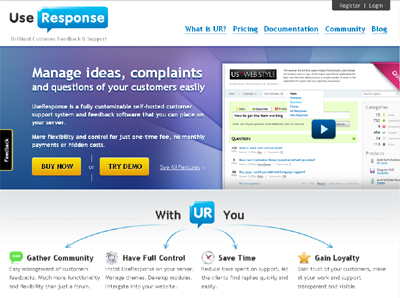 UseResponse is a self-hosted customer service satisfaction, community solution and feedback software that you can place on your server. It is fully customizable (open-source) and can be used at your full disposal. Self-hosted alternative to SaaS competitors, with same or better functions. 100% customizable (functionality, design). Lifetime license (one-time purchase includes 1 year of free updates).